In a similar, but faster, fashion to last year’s race, the women of Villanova scored a win by ten seconds in the 800 free relay. But, where last year’s Wildcats clocked 7:18.18, this year’s squad finished the race in 7:14.88. The only returner from last year’s team was anchor Emily Mayo, who personally dropped three seconds from her swim last year, splitting 1:48.58. However, it was lead off leg Kaisla Kollanus who swam the fastest split, with a flat-start 1:46.99, which would have won the individual Big East championship last season, so she’ll be the one to watch in the 200 final. Second swimmer Mary Snyder split 1:48.74, and third swimmer Caitlin Daday split 1:50.57. Just like in 2015, second place went to Georgetown, and they’ve also sped up over the past year, clocking 7:24.79 versus 2015’s 1:27.56. The young squad of Bailey Page, Dorothy Morgan, Madeline Loniewski, and Christine Ryan teamed up for the silver medal, with Page, despite leading off, swimming the fastest split, a 1:50.05. Third went to Xavier’s Kathleen Kerr, Mackenna Rife, Taylor Jach, and Molly Kroeger in 7:29.81. No teams hit the NCAA ‘B’ standard 7:09.96; however, Kollanus did hit the 200 free ‘B’ standard, a 1:47.99, on her lead-off leg by exactly a second. 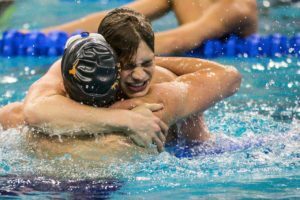 Georgetown, Xavier, and Villanova battled it out for the title in the men’s 800 free relay. All three teams’ lead-off swimmers finished in 1:40, with Xavier’s Alexander Wolfred (split: 1:40.27) edging out to the front ahead of Georgetown’s Daniel Ross (split: 1:40.67) and Villanova’s Greg Cino (1:40.81). But, by the 400 mark, Villanova had fallen behind, and Xavier’s Rodrigo Suriano (split: 1:39.34) touched within a second of Georgetown’s Henry Rogatz (split 1:39.29). Then, Georgetown’s third swimmer, Chandler Hinson rocketed a 1:39.56 to touch ahead of Xavier’s Enrique Hernandez (split: 1:40.63). At this point, Georgetown’s Jacob Kohlhoff just had to hold his lead, but he even increased it, going 1:38.95 to seal the win for his team. Georgetown’s Ross, Rogatz, Hinson, and Kohlhoff took the gold medal in 6:38.47. Xavier’s Wolfred, Suriano, Hernandez, and James Foster (split: 1:39.99) took second in 6:40.23, and Villanova’s Cino, Patrick Sullivan, Murphy Smith, and John Paul Naughton finished third in 6:42.63. Gabby Signorelli scored a big win for the Seton Hall team in the 1 meter diving event, notching 502.80 points, and coming in forty points over the competition. Georgetown’s Sara Jaklitsch finished second with 461.70, and Providence’s Kendall Jerzyk grabbed third with 441.40. Villanova doesn’t have a diving team, and Xavier and Butler each came in without any divers entered in this event, so they will all have to make up the deficit in the other events. The Villanova, Xavier, and Georgetown women swam another tight race in the 200 medley relay, but Villanova came out with their second relay victory of the night in 1:41.00. 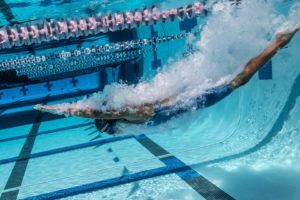 Backstroker Darby Goodwin and freestyle anchor Alexandra Fabbri each swam big splits for the Villanova team, clocking 25.15 and 22.30, respectively. Breaststroker Elise Pidutti split 29.25, and flyer Fiona Hardie split 24.30. The Xavier team of Paxtyn Drew, Rebecca Titterton, Caroline Gaertner, and Claire Brolsma finished second in 1:41.52, and Georgetown’s Kathleen Duncalf, Haley Owens, Erica Fabbri, and Page took third with 1:41.67. 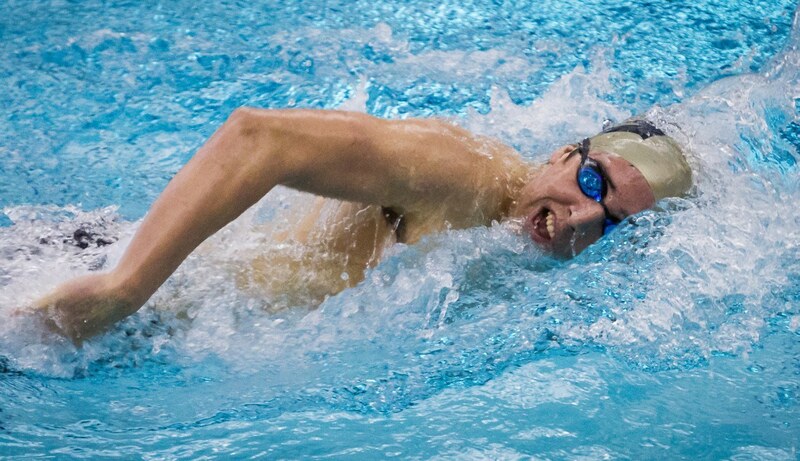 The Xavier men saw fast splits from Erik Biernat (23.74), Michael Pettinichi (25.19), Albert Hitt (21.04), and Luke Johanns (19.53) to win the 200 medley relay in 1:29.50. 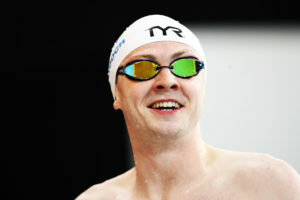 Johanns, last year’s 50 champion, was the only freestyler in the event to split under 20. The Seton Hall team of Lior Grubert, Zohar Suslovich, David Rowe, and Dakota Williams took silver in 1:31.01, just edging out Georgetown’s Edward Spinelli, Arthur Wang, Martin Vanin, and William Leach, who finished in 1:31.09. 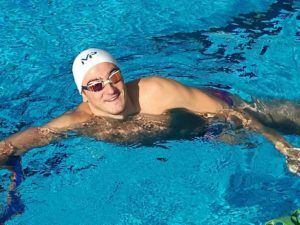 Suslovich swam a faster breaststroke split than anyone else in the field in 24.87.